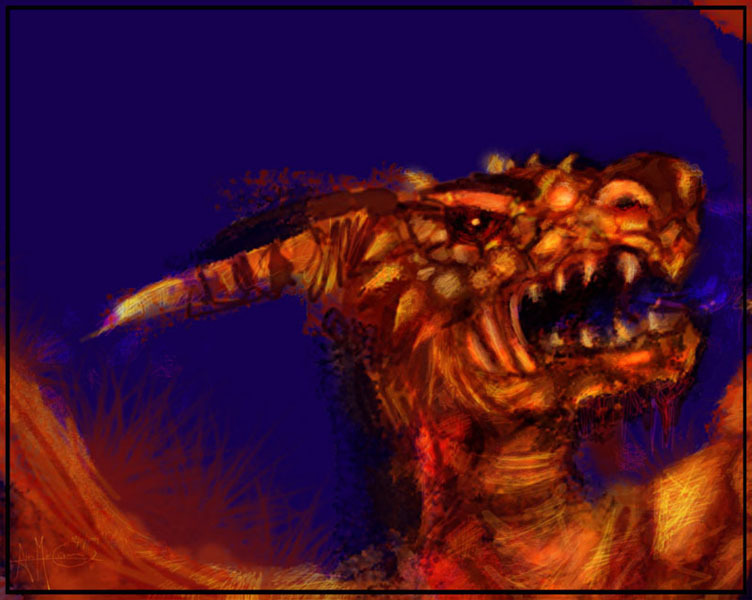 A dragon in photoshop & Wacom. I'm exploring a new style, one which seems more painterly. I think I must have been listening to chillout music or something - hence the irritated look on its face.